If you or someone you know is joining an online group that requires you to provide your Marine's last name or MOS as a condition of joining that group, I'd like to encourage you to keep Operational Security (OPSEC) and Personal Security (PERSEC) guidelines in mind. Perhaps the leaders of these groups will give the impression that they have a list of Marines going into the next phase—they do not, and there's nothing these people would be able to verify by having your Marine's name either. Please, be careful while joining online groups and communities. 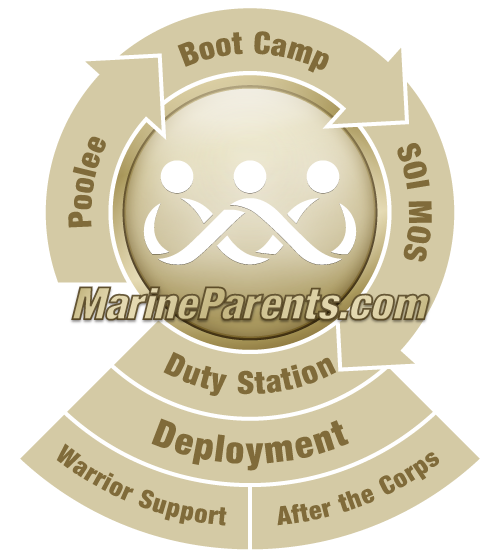 Groups run by MarineParents.com will always state in parenthesis that it is an official MarineParents.com Group. No group out there, not even our groups, can be certain that every member of that group has been fully vetted and has the best interest of our Marines at heart. Marine Corps offices DO NOT give out lists of names saying which Marine is stationed where, which school they're attending, or where they are in SOI. Remember, online communities, including those that are "military" by design, do NOT have a way to assure that every member has the same goal of safety and security for our Marines and military personnel. Knowledge is power; the enemy does not need to know anything other than our Military is ready to act and defend. To help keep you and our military safe, do not share information except with your family and very close friends.